BEIRUT, LEBANON (11:00 P.M.) – Minutes ago, the Syrian Arab Army (SAA), alongside the National Defense Forces (NDF), seized several points from the US-backed rebel forces in southeast Damascus, Al-Masdar’s Ibrahim Joudeh reported from the capital city. According to Joudeh, the Syrian Arab Army seized several points in the Dumayr region of rural Damascus, including the large hilltop of Tal Al-Abd, which is located southeast of the strategic Dumayr Airbase. This latest advance by the Syrian Arab Army puts them in position to close in on the Dawkah area of southeast Damascus. The attack by the Syrian Arab Army in southeast Damascus, tonight, came just hours after the US Coalition launched an airstrike against their advancing forces near the Al-Tanf Crossing in southeast Homs. Great!!!! 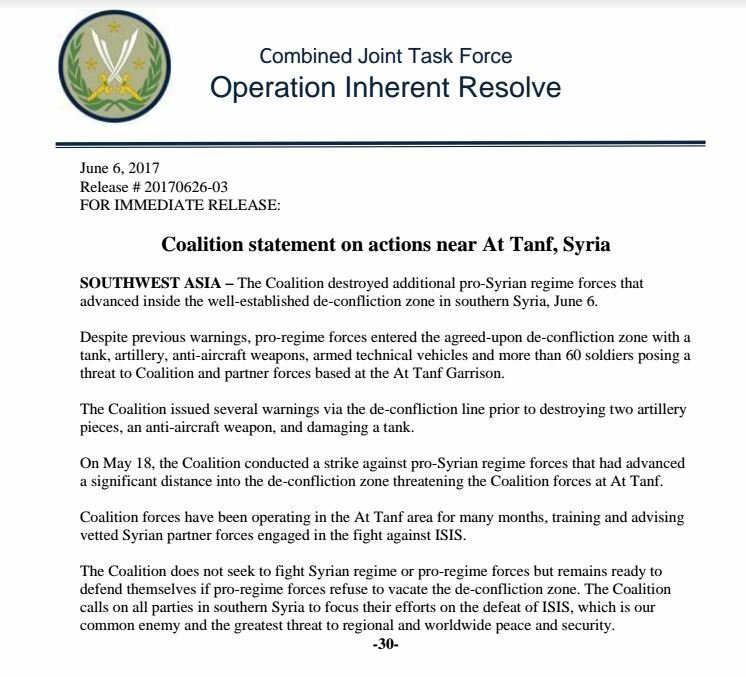 Why advance on al tanf and suffer airstrikes if 1) they can take other areas 2) they have no defence against the strikes? Exactly. Keep the pressure around AlTamf so that many of the US terrorists are unavailable for use elsewhere and bite off chunks of the terror gangs to restrict their passage to more of Syrian land.After the siege of Deir Ezzor is lifted , attention to the US terror gangs can be stepped up. Now, if it’s really the case, it might be better to let them operate. Hard to say without being on site. Now if they attacked SAA first, they deserve to be a*s-kicked. I support the Syrian Army to continue to their liberation of their country. Support from Macedonia, Skopje. So do I and I’m for France. But 1st things 1st : priority to liquidating IS and Qaeda. Syria is the best country in the world. ASAD i support you.